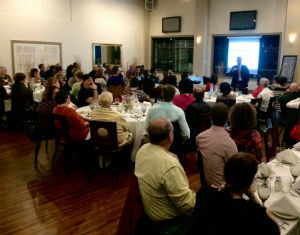 Dr. Paterna and his team perform over 100 wellness event per year in the New Haven County area, and are available to hold a talk with your group or company. The opportunity is open to anyone in the community. Just contact our office and set up a time. Visit wellnessspeakers.org to learn more about our Free programs! We’re a part of the Foundation for Wellness ProfessionalsTM, a national not-for-profit organization comprised of over 2,000 chiropractors, acupuncturists, naturopaths and medical doctors. We provide free on-site wellness programs for any business, municipality, church or organization that is interested in improving their overall well-being.